With the recent news of a volcano in Bali threatening the nation, a lot of talk has come about the impact that volcanoes have not only locally and regionally, but worldwide. Next month, Public Media Distribution will release a new episode of NOVA that examines the global impact of volcanoes in the form of NOVA: Killer Volcanoes. 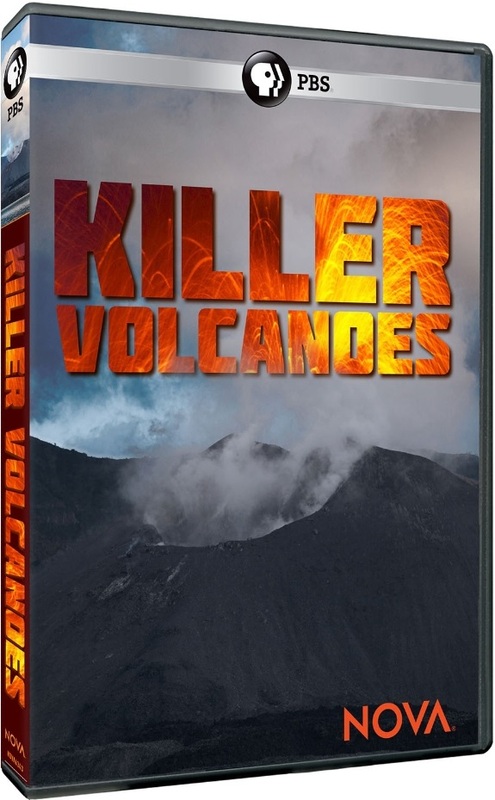 NOVA: Killer Volcanoes will be released Tuesday, Dec. 19 the hour-long episode follows a group of researchers as they search for a “mega-eruption” believed to have turned the world deadly cold. The discovery of a mass grave in London containing some 4,000 men, women and children is where the story starts. Initially, the researchers think the remains were of plague victims, but further research disproved that theory. The researchers’ investigation leads to the revelation that their deaths may have in fact been related to global impacts of an unidentified volcano’s “mega-eruption” within the time frame of their deaths. Their digging (both literal and figurative) led them to find that the eruption blew ash and sulfuric acid into the air, which then spread from Greenland to the Antarctic, turning much of the planet cold and leading to death around the globe from famine and other related causes. This entry was posted in DvD's and blu-rays, Internet, Television and tagged entertainment, facebook, internet, NOVA, PBS, Phil's Picks, Public Broadcasting, Public Media Distribution, public television, Television, Twitter, Wordpress by philspicks. Bookmark the permalink.